I first saw my great great grandfather Thomas Jones in June 1996, though I had known of him from my earliest childhood. His face started out at me from the internet on the cover of a book by Welsh writer Nigel Jenkins, whose Gwalia in Khasia: A visit to the Site, in India, of the Biggest Overseas Venture ever Sustained by the Welsh had just won the Arts Council of Wales Book of the Year. 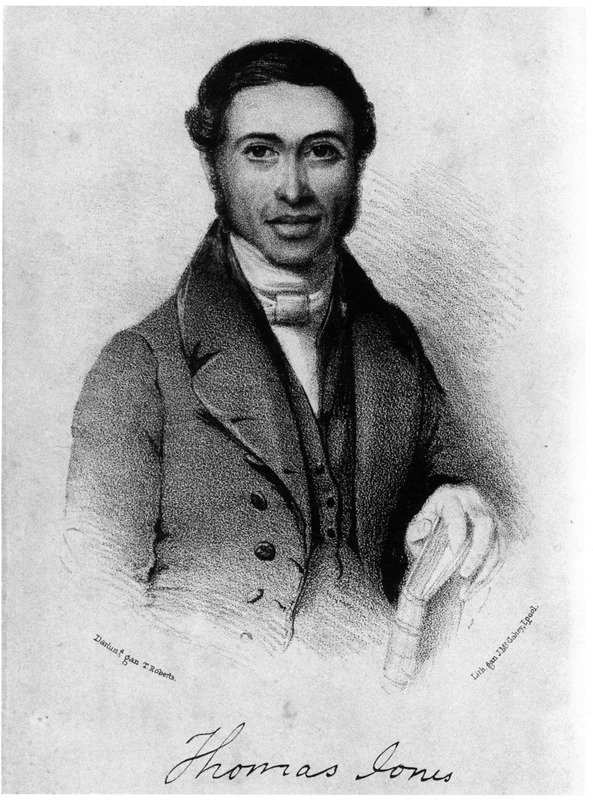 We had never had a family photo of Thomas Jones, though as I was subsequently to learn, his face adorned churches and classroom walls in both Wales and north-east India. When I first saw his lithograph I was overcome with the emotion that such a connection over the distance of space, time and cultures could be possible, sad too that my mother and grandmother had not lived to see the face of this man. 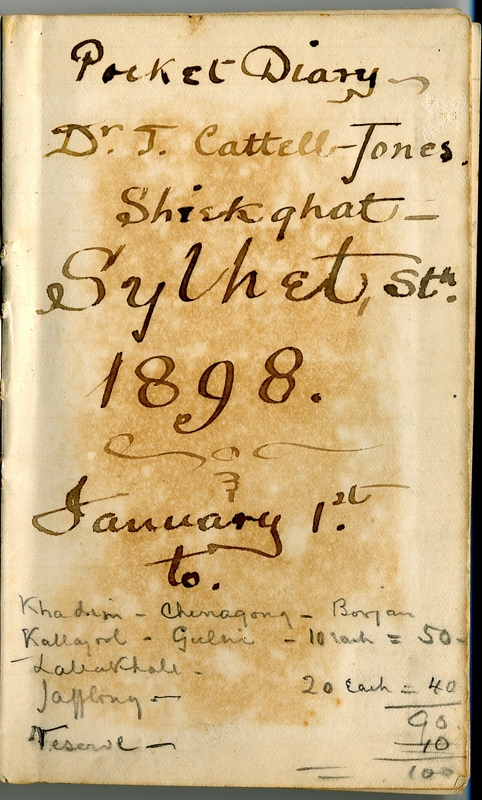 That moment marked the start rather than the end of a historical and personal quest to figure out what on earth he thought he was doing in Cherrapunji in the 1840s. My great grandmother Jean Margaret Cattell-Jones, b. Sylhet 1858, d. Adelaide 1942 (seated), with my grandmother Gwenllian standing immediately behind her. 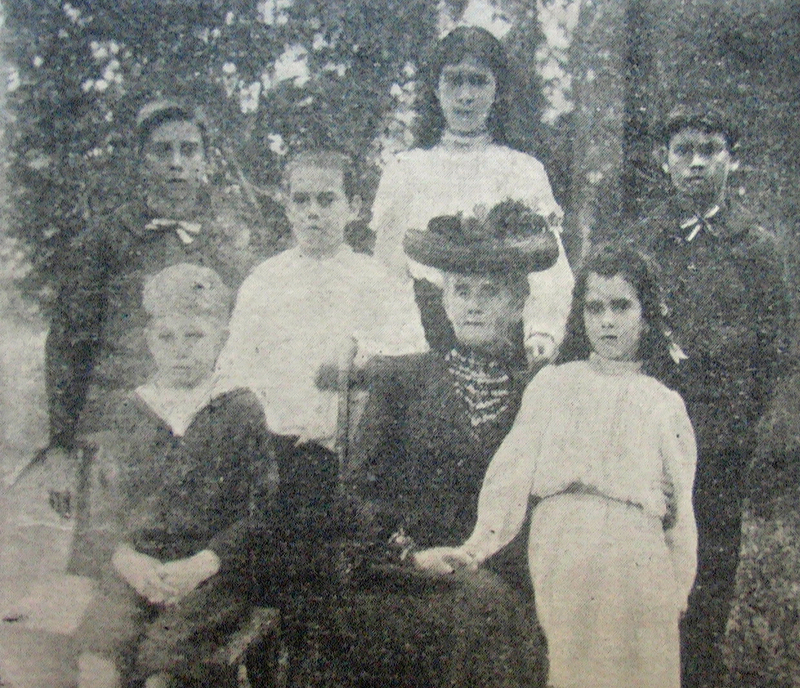 Photo taken in 1905 at St Andrew’s Colonial Homes (Dr Graham’s, Kalimpong), an orphanage for Anglo-Indian children where Jean was the first housemother. The other children in the photo are Gwenllian’s siblings Llewellyn (d. Christchurch, New Zealand, 1958) Margaret (d. Adelaide, 1977), and Glyn (d. Scotland, 1991); and two boys from Assam tea gardens—James Roxburgh Lees (b. 1892, father Scottish, mother Bengali) and James Brown (b. 1893, father English, mother Indian). Lees and Brown later trained on the Industrial School Ship Southampton at Hull, and Lees died on the Dido when it hit an enemy mine in 1916. The story of the first Welsh missionary to the Khasi Hills of north-east India had always intrigued me, and I heard it first from the lips of my Granny Gwenllian McLean nee Cattell-Jones. Granny McLean was born in Shemshernagar (now in Bangladesh) in 1891, and after emigrating from Scotland to Adelaide in the 1920s lived to the ripe old age of 96. I think it was my mother’s death in 1994 that inspired me to put pen to paper, knowing that these generations of women who had kept the story alive in their family lore had now passed on. I recognised that here was a compelling story with all the elements of a page-turner—exotic locations in Wales and India, headstrong personalities, love affairs and scandals, controversy and tragedy. But I also sensed the tantalising possibility of combining a personal interest in my family’s origins with a critical interest in the broader issues of belief, conflict and empire. As an Australian historian—and by that I mean an Australian by birth as well as a historian who has spent much of their time working on Australian topics—I also recognised an opportunity to delve more deeply into my own settler-colonial origins and identity as some kind of act of recognition, even reconciliation, with a family as well as a national past. My family’s Indian past was remote and in many ways tenuous. I had inherited stories (though I regret I never taped my grandmother telling them); a few minor heirlooms by way of one or two letters, my great grandfather’s brief pocket diary, and a Tibetan prayer wheel; perhaps elements of genetic disposition and physiognomy; and maybe even quiet sympathy (though an atheist) for the endeavours of these proselytising ancestors of mine whose religious assault on the Khasis was to have profound effects of their culture. Writing the story as the direct descendant of two of the early missionaries also I think gave me a mixed sense of ownership (a right to speak on their behalf perhaps) and responsibility (to be ethical and objective in assessing their actions). At the outset of the book I rightly declare this position to the reader, though these personal reflections are mere bookends to the substantive part of the study. In constructing a history that implicates my ancestors in the work of empire, I was also guided by the epigrams included at the start of my book. From Thomas Herbert Lewin (a relative of one of my protagonists): ‘Here they are—dear dead far-away people from whom I have my being, and whose blood flows in my veins for a brief space’; and Babu Hiranmoy Mukerji, a correspondent at the time of the 1897 Great Earthquake—‘But there is no good unmixed with evil or no evil unmixed with good’. I did not choose my family, but they seemed as good a place to start in coming to grips with the inheritances as well as the aftershocks of history. The manner in which we carry our dead with us—how we might be compassionate rather than simply praising or decrying—is the measure of us all, as individuals as well as historians. This entry was posted in Family Stories, Guest Post, Information, Publications and tagged Australia, emotions, India, methodology, missionaries, religion, settler colonialism. Bookmark the permalink.